How can I be sure that the same Pin doesn’t go out more than x times total per week? SmartLoop will help ensure you don't share too often or in a way that’s irresponsible or ineffective. Our recommendations and hard limits prevent your Pins from being published too often. 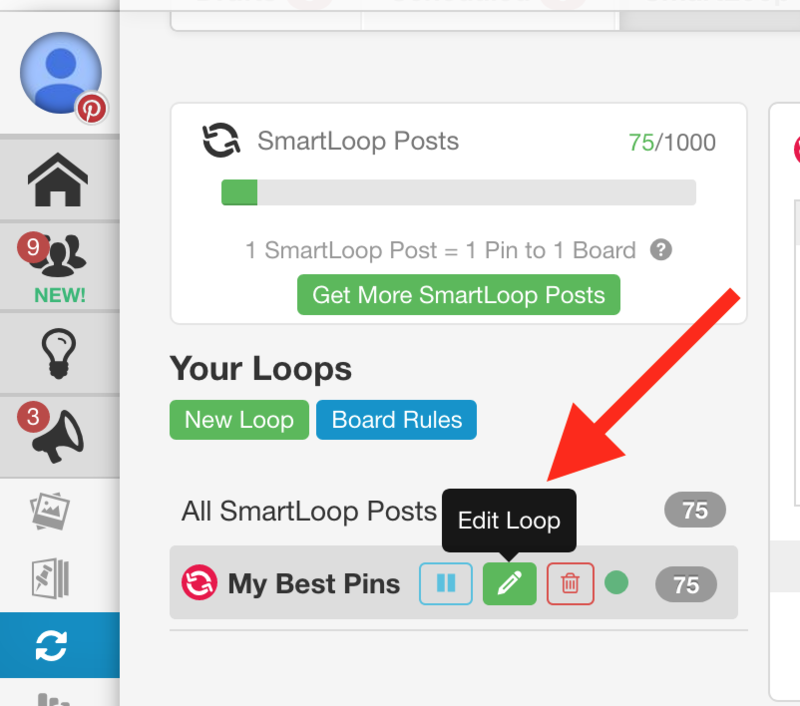 Unless you created many Loops with the same Pin in each Loop, it would be virtually impossible to Pin too often with SmartLoop. Don’t take this as a challenge, though! Those safeguards were put in place to keep your Pinterest marketing working well long term. Then click Next: SmartLoop Schedule. Rest easy knowing that SmartLoop will work hard Pinning your content for you while following the Pinning frequency that works best for your marketing strategy. Board rules apply to all Loops, but each Loop has its own schedule and needs to be adjusted individually. 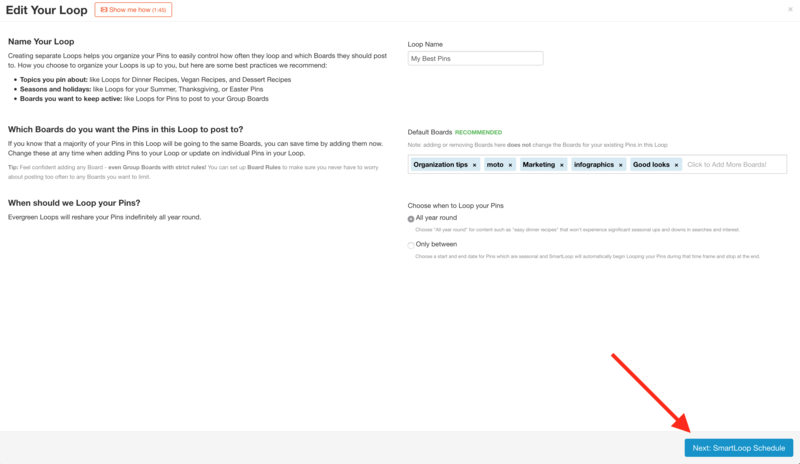 Because of this, we recommend that you don't put the same Pin in more than one Loop - this will make it easier to organize and plan out your SmartLoop strategy.